Wessex Fire & Security has appointed Paul Joy as Major Works Installation Manager. Paul had previously run his own electrical contracting business and had also worked for some of the biggest names in the sector. The industry veteran who lives in New Milton, Hampshire, brings experience of strategic planning surrounding large and complicated projects. 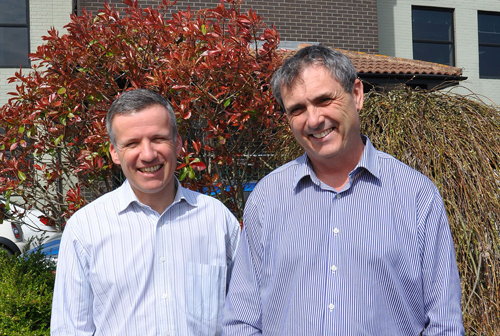 Pictured (L-R): Chris Stott, MD of Wessex Fire & Security, with Paul Joy, the new Major Works Installation Manager.